A MECHANISM OF INNOVATION AND DESIGN, WE PRODUCE AND DELIVER UNIQUE, LEADING EDGE THEMED ENTERTAINMENT EXPERIENCES • WE DEVELOP MULTI-PLATFORM, HIGH CONCEPTS THAT ARE WORLD CLASS AND ONE OF A KIND. THE GUEST EXPERIENCE IS OUR CORE; EAGLEVISION THRIVES ON CREATIVITY, INDIVIDUALITY, EXCLUSIVITY, AND IMPACT IN ORDER TO DEVELOP MEMORABLE STORIES AND IMPRINTED EXPERIENCES. WE BRING DREAMS INTO THE VISCERAL REALITY. OUR EXPERT TEAM OF MASTER PLANNERS, DESIGNERS, ARCHITECTS, ENGINEERS, AND PROJECT MANAGERS BREAK THE RULES AND DO THE IMPOSSIBLE • WE DELIVER EXCEPTIONAL AND CULTURALLY-DIVERSE STORYTELLING FOR BOTH CUSTOM-DEVELOPED IP AND BRANDED IP EXPERIENCES. IMAGINE AND RE-IMAGINE EVERYTHING! NO IDEA IS OUT OF SIGHT OR OUT OF MIND FOR OUR TALENTED TEAMS. WE HELP YOU REALIZE ANYTHING! 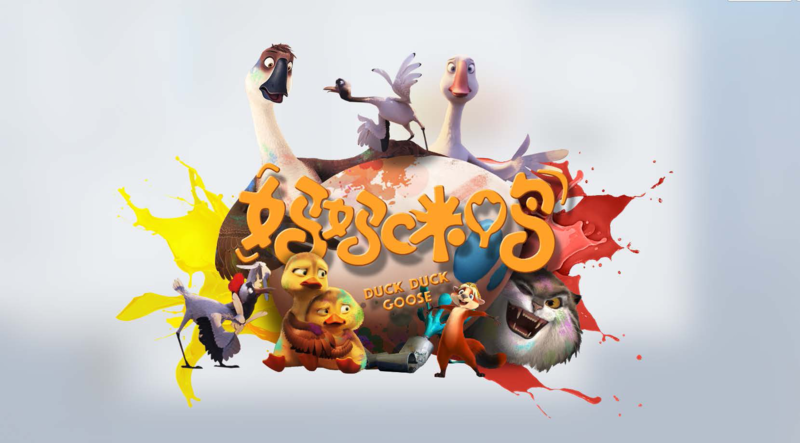 EagleVision is a New Breed of Creative Entertainment Theming Studios. We Conceive, Design & Build UNIQUE, BLEEDING EDGE THEMED ENTERTAINMENT EXPERIENCES. We design the impossible and build the unthinkable. We have the best minds and most respected, well-regarded leaders from our industry. Our team’s experience is from the biggest parks and projects as well as the most successfully produced venues all over the world. By offering studio services starting with Master Planning & Landscape Design, Show Design, Architectural Design, Project Production, Technical Design & Production, and I.P. & Product Development, we are with you through the whole project. We also bring IP to the table and develop custom IP for our clients. With those services and our combined knowledge, we have a serious edge and advantage over any other choice. We are an inseparable extension to our clients. EagleVision conceives the most cost-effective, smart, and creative use of available space on all projects. Supported by comprehensive design principles and detailed production services, our Master Planning team produces impressive, guest-flow-driven solutions and recognized as a leader in the destination and entertainment industry. Every master plan we develop follows a particular course of action. First, we create a story and design elements for the destination. Then, upon review, we refine every aspect that contributes to the successful realization of its development. At EagleVision, our team develops a unique way of translating passion and commitment into your brand; we then enhance it through gripping stories and thrilling, immersive experiences. Finally, we help in realizing your market objectives, all the while delivering intellectual and emotional experiences for your guests during every visit. 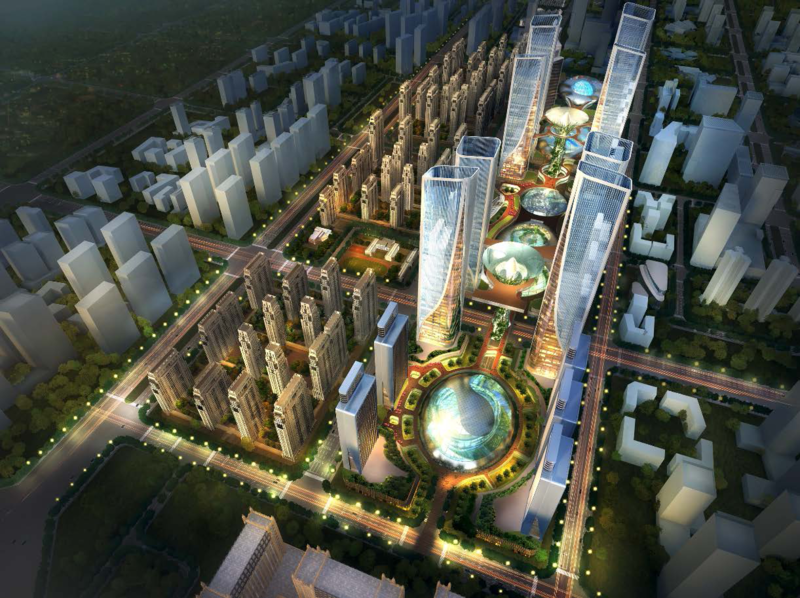 Our proficiency in master planning represents the fusion of the best minds in creation, innovation, design, and production. We’re fluent in the languages of hotels, restaurants, retail, attractions, landscaping, theme park planning, and entertainment, culminating in a multifaceted experience for your guests’ eyes, ears, minds, and hearts. Following an exact course of action from design and story elements to exquisite realization, every component must contribute to the multi-dimensional story and theme of the project—from the efficient use of creative experiences to the proficient layout of operational components. Exploring the development potentials for the site, EagleVision uses its proven understanding of guest flow, operations, and creative content to ensure a design that is both immersive and pragmatic. For existing sites looking for a spark of innovation or for new sites seeking the fires of inspiration, EagleVision will keep your vision aligned to its target. With attention to budget, viability, and layout, the integrity of your brand and initiative will be held to the highest standards. With our expertise, you will see the project blossom from story to full-color rendering to an intricately- orchestrated game plan—through to opening and beyond. 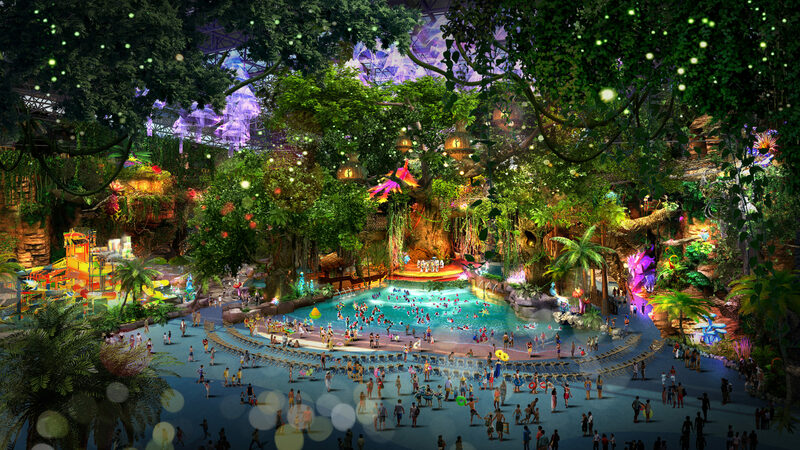 We are constantly advancing and continue to find new ways to create the next great attraction. Our team’s all-encompassing knowledge of attraction design is obvious-in rides and interactive experiences of all levels of difficulty and intricacy. What makes a truly memorable attraction? EagleVision explores this question through groundbreaking projects for worldwide audiences every day. The actuality of an attraction—with more than a million moving pieces, all of which need to be created in tandem—means that every aspect is critical to attraction design and no single piece can be left out: concept, scripting, media, architecture, guest flow, mechanics, programming, safety, and artistry. EagleVision’s creative masters will help you to navigate through the chaotic intricacies of the design process, seamlessly delve into the meticulous process of production management, and through to safety and testing—ultimately giving your guests an outstanding world-class experience that stays true the creative heartbeat and is loyal to the concept from the very beginning. We provide high- concept development all the way through to venue opening, with every step carefully choreographed for a seamless transition from stage to stage. EagleVision conducts extensive research, both for cultural reasons and to promote riveting storytelling within a themed attraction. 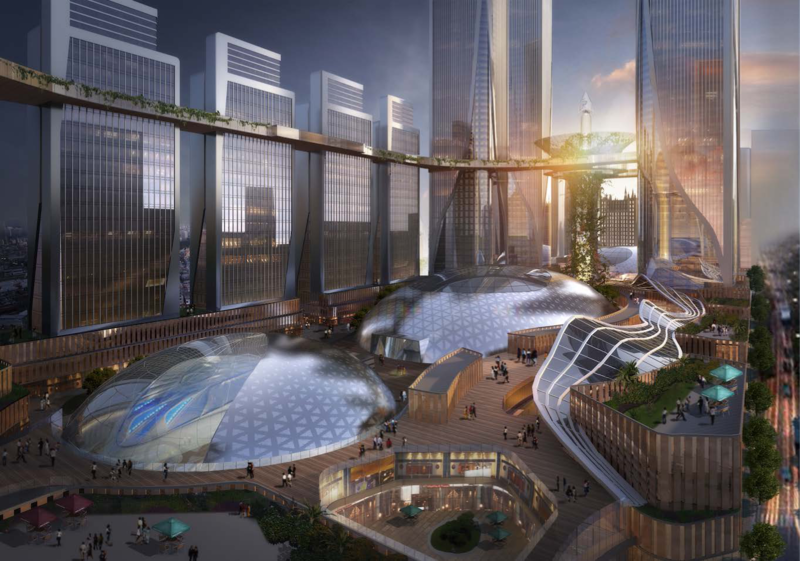 A crucial part of each design is understanding the venue in which the attraction will call home, cutting-edge technologies which can be incorporated into the attractions, and a solid understanding of the ride vehicle itself. The success of EagleVision soars from our exceptionally-gifted employees, unique processes, knowledge, and expertise to providing clients with flawless project management from concept development through to venue opening. Our creative geniuses are involved throughout the entire process, further maximizing client reassurance and delivering on the demand for excellence. Check Out Our Latest Job Postings! We apply human-centered design methods in our pre-design process to reveal your greatest challenges, those you know of and those you may not even know exist. Every client is unique and our architects engage clients as partners, delivering tailored EagleVision services for every project. Collaboration leads to solutions that support facility goals to enhance and strengthen the business operations of clients in all markets, while meeting the needs of all stakeholders. Design through understanding is our variation on the Design thinking methodology. It is an compassionate and iterative procedure that seeks imaginative architectural solutions. Relying on the synthesis of direct observation and qualitative data collected from the people at the core of the issues, we use this methodology to great success. Working with vendors to ensure related components are being scheduled, ordered, tested, and shipped in a timely fashion, EagleVision analyzes lead times and resourcing parameters to meet the overall project schedule. Much like a well choreographed dance, our teams are flawless. Think of it like this: Every new adventure needs a navigator! 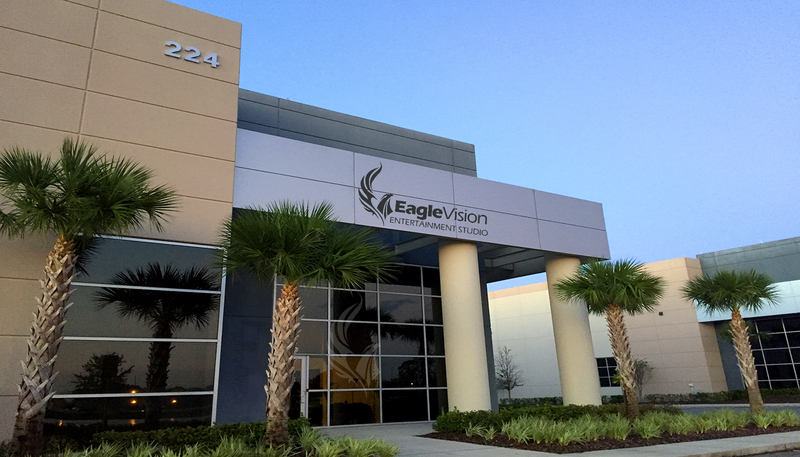 Eagle Vision has a highly-focused group of services. One of the integral services that many often overlook is resourceful, imaginative project management. Eagle Vision offers something that most others don’t: “a keen eye” to spot potential concerns before they ever have a chance to disrupt your project, ensuring its success while always caring for its creative vision. Our project managers have organizational, operational, and financial experience—both in the office and in the field. They appreciate the various eccentricities of theme parks, museums, live shows, and large-scale construction designs. Our team communicates with our clients on a frequent and continual basis to ensure that the facilities are appropriately equipped and ready to accept the delivery and installation of attraction components. 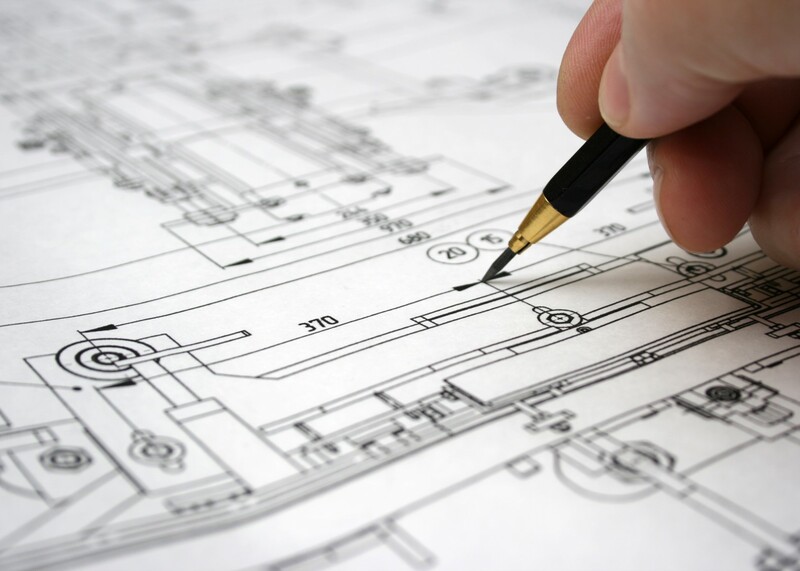 To conclude our services, we provide close-out documentation to include final scripts, illustrations, consolidation of vendors’ final deliverables, and compilations of all necessary design development for bidding. When you get excited about inviting guests into your new world, the last thing you want is to be bogged down by budgets, permits, and schedules—but a lack of attention and coordination between these elements can make for a disaster. Our experts make the process smooth and strive to surpass your expectations. Good storytelling is all about immersion and helping guests believe they are in the story. With our technical proficiency, their experience will be seamless and invisible. Your audience shouldn’t have to suspend their disbelief but rather forget it was ever there. Incredible aural and visceral environments are achieved through a combination of hardware engineering and software artistry. Our technical designers work with a multidisciplinary toolkit—video projection, audio, show control, lighting design, interactive media,and specialized ride systems, creating an inherent symbiosis between a project’s creative vision and its practical realization. Our technical teams understand the level of integration needed to create unique and original environments that bring your brand and vision to life. We plan far into the future for components—such as speaker locations, projection envelopes, lighting arrays, and maintenance access for all of the above, incorporating these layers into the project as early as possible in the timeline to add to the experience. disciplines and stakeholders together to optimize collaboration at all levels. Working with some of the biggest brands in the world, we help them expand their offerings in unique and inspiring forms of innovative and thrilling entertainment. We always bring our unique perspective and experience with world-class companies to the creation and fruition of your brand and idea. EagleVision is able to help it blossom through well-thought-out, creative development and careful, strategic thinking. Our tailored creative process brings a well-rounded approach to the expansion of your brand, including: logo design and messaging, signage and graphic identity, character and mascot design, social media integration, unique marketing, live events, and everything else you need to bring your vision to life. In addition, and not to be overlooked is our ability to bring IP to any stakeholder. This is currently very attractive to developers. WE PRODUCE UNIQUE CREATIVE AND DIVERSE STORYTELLING WITH OUR DIVERSE TEAM OF INDUSTRY LEADERS, DELIVERING A MEMORABLE EXPERIENCE AT ALL LEVELS. Let’s get started on your dream project! Send us a email. © 2019 EagleVision Entertainment Studios. All rights reserved.